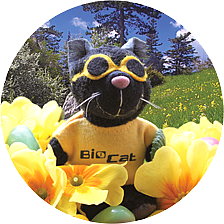 BioCat GmbH is a private company founded in 2000 to market innovative products and services for life science research. As a true solution provider, BioCat offers a wide range of high-quality research reagents as well as cutting-edge technologies in the fields of genomics, proteomics, and cell biology. For tissue-related applications, tissue microarrays as well as RNA, cDNA, and proteins isolated from hard-to-obtain tissues are available. The products and services provided have been developed by partners in Canada, Spain, Germany, Korea, Russia and the US. They are made available through BioCat to researchers in academia as well as in pharma & biotech industry by an application- and customer-oriented approach. To meet your individual needs, a highly skilled scientific support team is available to directly assist you over the telephone or through email. BioCat is continuously striving to complement its product portfolio with novel products and technologies. When you are looking for a competent partner to sell your products to the life science research market in Germany, in Europe, or globally, please contact us.